The Town of Pine Knoll Shores presents the 11th Annual Kayak for the Warriors proceeds to Hope For The Warriors staff members. 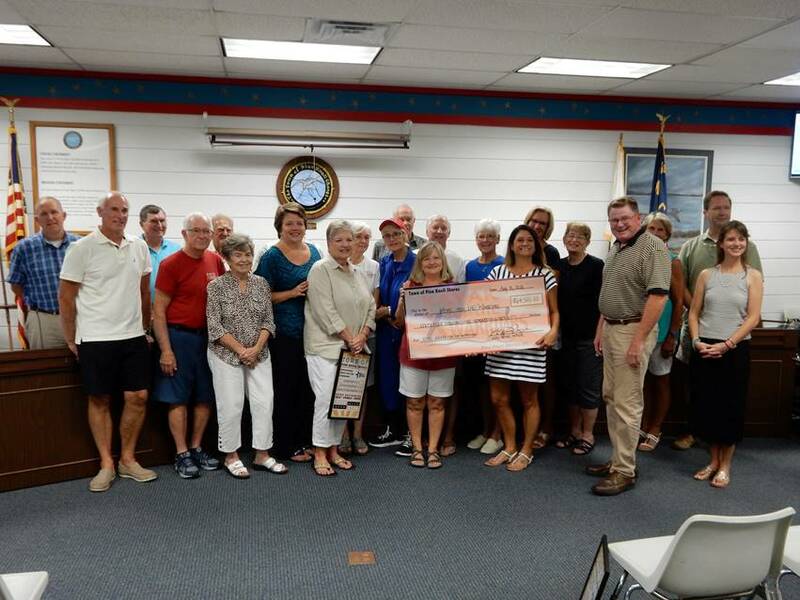 PINE KNOLL SHORES, N.C. (August 29, 2018) – The Town of Pine Knoll Shores raised more than $64,000 through its 11th Annual Kayak for the Warriors. The annual event benefits Hope For The Warriors, a national nonprofit dedicated to restoring a sense of self, family and hope for veterans, service members and military families. The three-day event features a 5K/1K run/walk, Warrior reception with live and silent auctions, a 3.2-mile kayak and paddle board race, and lunch. Since 2008, Kayak for the Warriors has raised more than $515,000 benefiting Hope For The Warriors and its programs. Celebrating 11 years of service, Hope For The Warriors assists veterans, service members and military families with a variety of programming including clinical health and wellness, sports and recreation, and transition services. “Together, we are truly making a difference in the lives of military families in Eastern North Carolina and nationwide,” add Kelleher.